We are absolutely delighted to be announce a live performance of "Lepidoptera" by Monty Adkins and Terri Hron, with elusive Hali Santamas as an opener, in Fuse Art Space, Bradford, February 23rd at 8pm. Entrance will be a mere £3. Moths, come forth towards the light. Lepidoptera is a work for recorders and electronics made of five movements, each referring to families of butterflies and moths. The nature and character of the recorder is similar, with its varying tonal colours, and its transformations from caterpillar to chrysalis to butterfly. The consort of recorders used belongs together. They have a broad sound with strong upper partials; there are intimate, almost inexplicable sonic and physical connections between the different instruments. This inspired similar connections and interactions between the recorder(s) and the electronics. The five movements are families of relationships, with no two performances ever the same as they are reconfigured and retuned anew for each iteration. In Saturniid, the recorder rides the crest of an acous- matic wave, sometimes submerged within the mix and at other points rising momentarily above it. Ephemeroptera delicately counterpoints the solo recorder and its fixed environment. Zygoptera and Anisoptera have an algorithmic mobile that creates a stream of sound files that feed into the larger trib- utary of sound processing, shaped by multiple envelopes and parameter changes. Lepidoptera com- bines and morphs these different approaches. 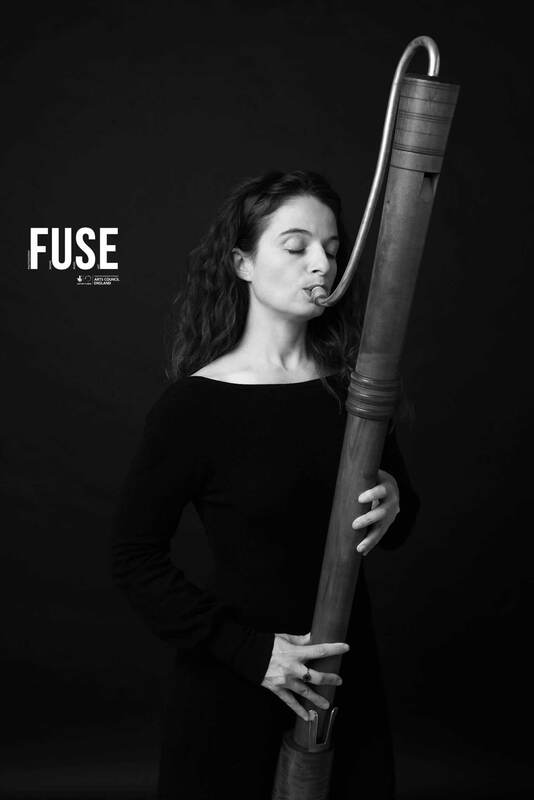 The project was first initiated during Terri Hron's residency in the summer of 2014 at the studios of the Centre for Research in New Music (CERENEM) of the University of Huddersfield (England, UK). All sounds in the electroacoustic part are derived from recorders between the C-bass and the G-alto in a consort built by Adriana Breukink, based on instruments by Schnitzer from the turn of the 16th century. Monty Adkins is a composer, performer, and professor of experimental electronic music at the University of Huddersfield (England, UK). He has created installations, concert and audio- visual works, and a number of col- laborations with performers, video artists and photographers. His works have been commis- sioned by INA-GRM, IRCAM, BBC Radio 3, Huddersfield Contemporary Music Festival (HCMF), SpACE-Net, ZKM, and Sonic Arts Network (SAN), among others. For his œuvre he has been awarded over 15 international prizes including the Stockholm Electronic Arts Award (Sweden), Grand Prize at Musica Nova (Prague, Czech Republic), and five prizes at the Bourges International Electroacoustic Music Competition (France). Having read music at Pembroke College (Cambridge, England, UK) where he studied French mediae- val and Italian Renaissance music, Adkins then studied electronic music with Jonty Harrison at the University of Birmingham where he performed across Europe with the Birmingham ElectroAcoustic Sound Theatre (BEAST), and Simon Waters at the University of East Anglia (Norwich, England, UK). Monty Adkins is also active as a writer and concert curator. He completed his first book in 2011 on the relationship between art and music (Shibusa — Extracting Beauty) and a second on the music of Roberto Gerhard in 2013 (Ashgate).